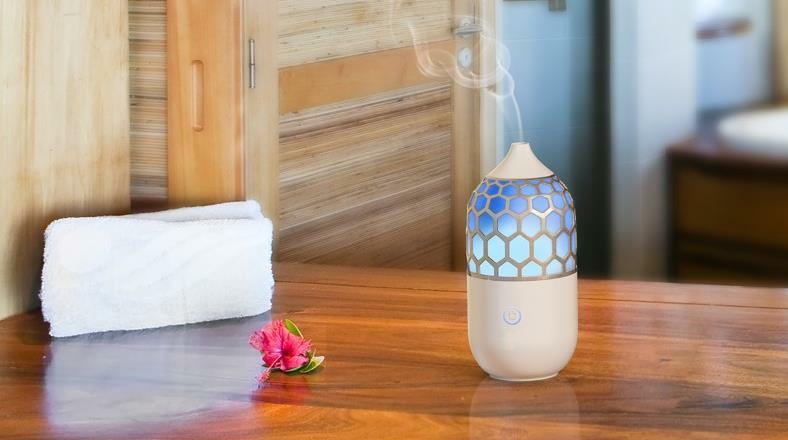 Home » Buyers guide » 4 Of The Best Essential Oil Diffusers For Large Rooms & Spaces – Great Scents, Great Value! I’m a longtime lover of soothing scents at home and work – especially for winding down from a stressful day or for better focus. They’re fantastic little devices that are making my life better already! I’d love to help you enjoy the benefits I am right away. 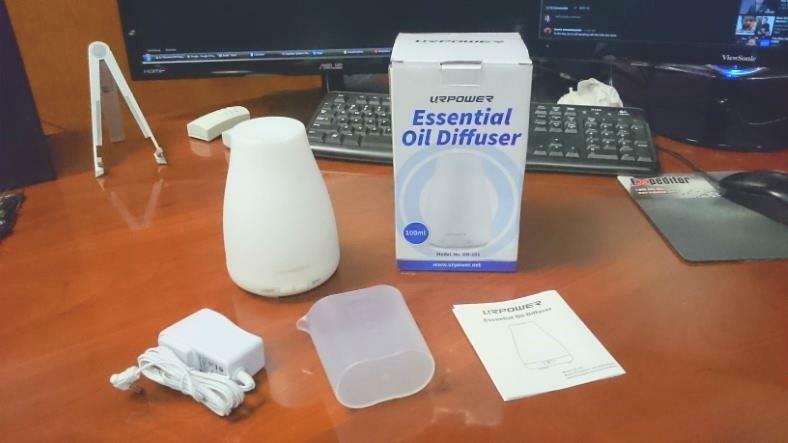 To help, I’ve put together a list of 4 of the best aromatherapy essential oil diffusers that work well for large rooms. There’s also lots of helpful info to know before shopping, too! 2. What does an essential oil diffuser do? 3. Is a diffuser good for you? 4. What makes a good oil diffuser for large rooms? 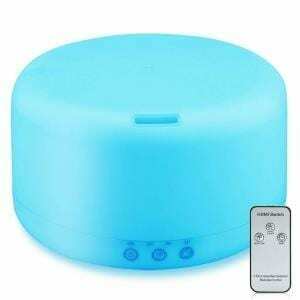 Essential oil diffusers are small machines powered by electricity that offer aromatherapy benefits. That means they release scented oils called “essential oils” into a room. They’re great for many purposes including relaxation, better sleep, focus, and providing a healthy way to relieve stress. Essential oils are concentrated liquids taken (normally) from plants. They’re extracted from a variety of plants such as eucalyptus, orange, lime, cinnamon, myrrh, and many more. The liquid is extracted by a process called distillation and make up a product that’s able to easily evaporate at normal temperatures (also called hydrophobic). Why are they called “essential”? They’re called “essential” because they keep then natural essence (in other words, the natural properties and scent) of the plant they’re derived from. Unlike other oils you may have used before, they usually can evaporate without leaving a residue or oil behind. Typically you’ll buy essential oils for aromatherapy in very small vials made of glass or plastic. They’re very efficient at making scents in a room – normally only a few drops are needed each time! 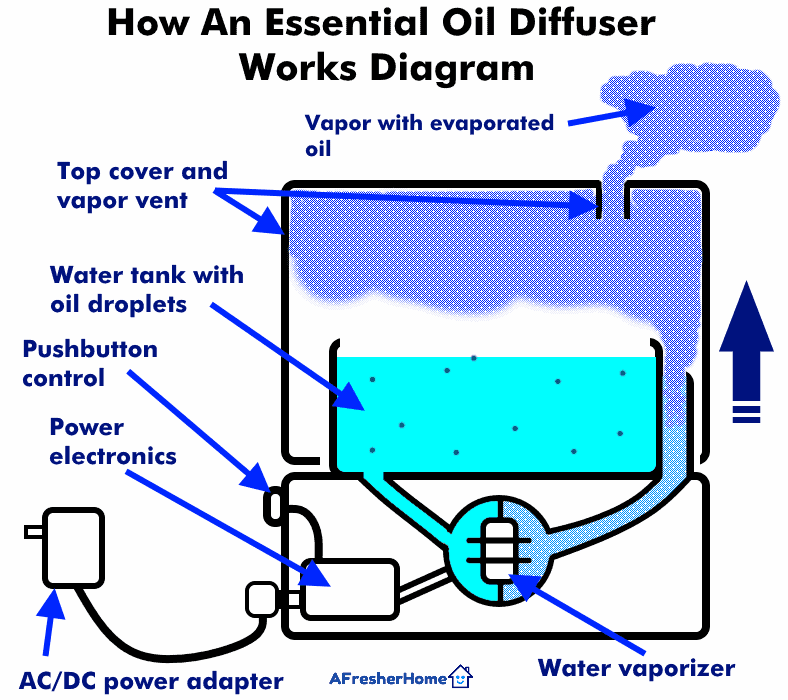 Diagram showing an essential oil diffuser and how it works. 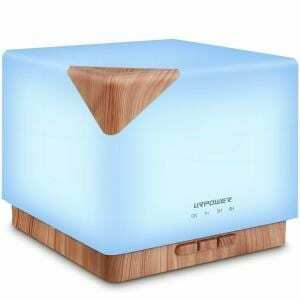 Diffusers are a version of cool mist humidifiers that convert water stored in to vapor that rises into the air. A few drops of essential oil are added to the water and it’s evaporated as part of the process. The result is wonderful scents that fill a room’s air. 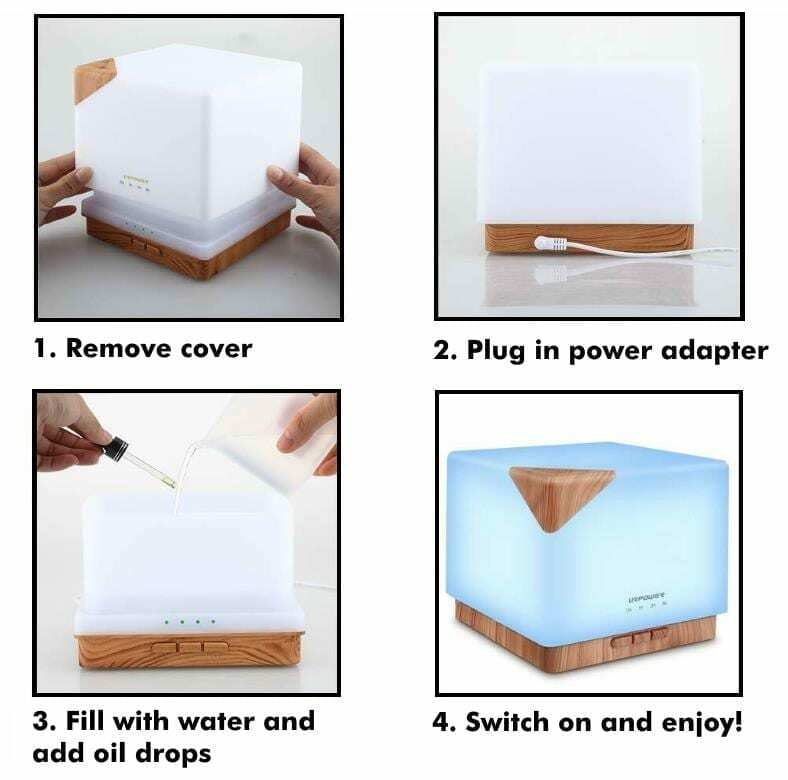 Essential oil diffusers work by using electricity to power an electrical water vaporizer (also called a nebulizer) that turns water into a fine mist. The mist rises into the air and carries evaporated essential oil with it. Diffusers are a different type of cool mist humidifier as they work the same in principle: they turn water into a super-fine mist that rises into the air and fills a room. They’re different, however, in their features, style, mist production, and water capacity. In fact they’re so similar that some cool mist humidifiers include an essential oil tray as an option. 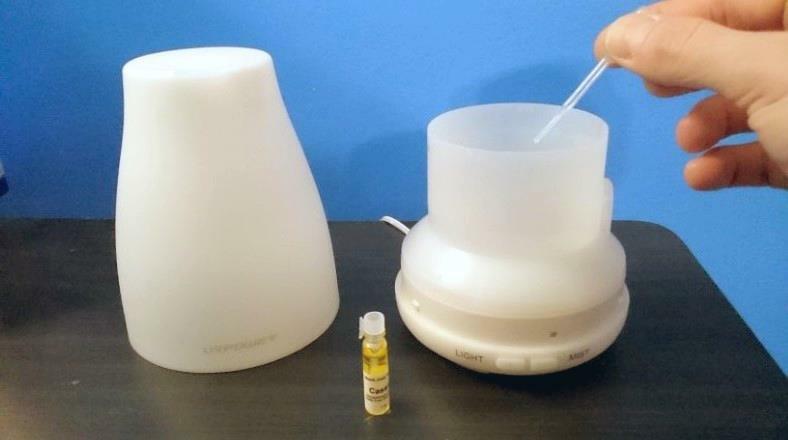 Shown: As they work the same as diffusers, some cool mist humidifiers include an essential oil tray feature. Shown is the popular Everlasting Comfort large room humidifier which includes this neat option. Essential oils are added to a diffuser by carefully placing a few drops (usually 2-3 or so) into the water reservoir. The cap is then placed over it before turning it on. Water is poured into the diffuser’s cup or tank then a few drops (often 2-3 drops) of aromatherapy (essential) oil is added. As most are concentrated, you won’t need much. They’re very efficient at adding a noticeable scent throughout a room. After the water cover is placed over the top, the unit is turned on and the diffuser begins working immediately. Water is pulled through the nebulizer and rises inside the cover, escaping silently through a small vent. At the same time the water supply is bubbled a bit to help mix the oil with the water evenly. As it runs the result is a very fine mist that resembles the look of smoke but is in fact just harmless, cool water with a pleasant scent added. Is a diffuser good for you? Diffusers offer a safe, healthy alternative to other ways of adding aromas to a room. There aren’t any health risks involved in using them. Unlike incense or oil warmers, there’s no danger of a fire hazard, hot ashes, or inhaling smoke. Additionally, while candles are generally safe they can be knocked over by accident, causing a possible burn or fire hazard with the hot wax or flame. While essential oils can be used on your skin for a range of reasons, there’s a risk of having an allergic reaction. That’s not the case with essential oil use. It’s thought that inhaling the aromas from the oils are able to stimulate certain areas of the brain which play a role in memories, behaviors, emotions, sense of smell, and thoughts. However, there’s no real scientific proof of any true healing abilities. For the most part, natural (essential) oils offer some aromatic therapy benefits that candles, incense, wax warmers, and reed oil diffusers do but with much easier maintenance, lower cost per use, and more safety. Additionally, high-quality and properly prepared oils don’t use synthetic chemicals or other substances that are potentially a health hazard over time. That’s in contrast to others like incense sticks which burn other substances that you’ll inhale unknowingly. Personally, I’ve suffered from headaches triggered by someone using incense and I was exposed to too much of the smoke over time. Unlike those, I can easily control how much (or how little) aroma I have in the air when using a diffuser. 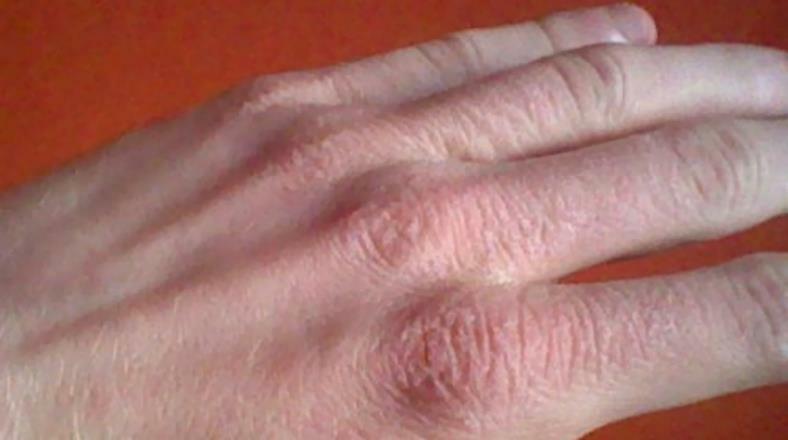 Severely dry air leads to a lot of uncomfortable symptoms including skin problems. Dry, painful cracking can occur and even lead to bleeding! The great news is that diffusers act like small humidifiers and can give some nice benefits you might not know about. As I mentioned earlier, diffusers are a smaller type of cool mist humidifier. Because they release extra moisture into the air, humidifiers and diffusers provide a number of bonus benefits. Additionally, they help with dry noise conditions and nosebleeds as well as dry eyes. After running in a room for a long time the humidity increases to a more comfortable level. They’re beneficial in both warm climates and during winter where the air is severely dry. What makes a good oil diffuser for large rooms? Buying a diffuser for a larger room (as opposed to a smaller room like a bedroom or office) isn’t going to be difficult if you know what to look for. There are a few things you’ll want to know first, however, before shopping. My main suggestion for getting the right diffuser for a large room is one with a larger water capacity. This is because they’re able to run longer and since a medium or large room has more air volume it takes more time for the aroma to cover it completely. Note: Diffusers are often made overseas where the metric system is used. Because of this, water capacity is often listed in milliliters (mL). They’re also often listed in 100s of mL (100mL, 500mL, and so on). Example of a small room diffuser with a capacity of about 100mL. While it’s good for your bedroom, office, and other areas, the capacity is a bit small for larger rooms. 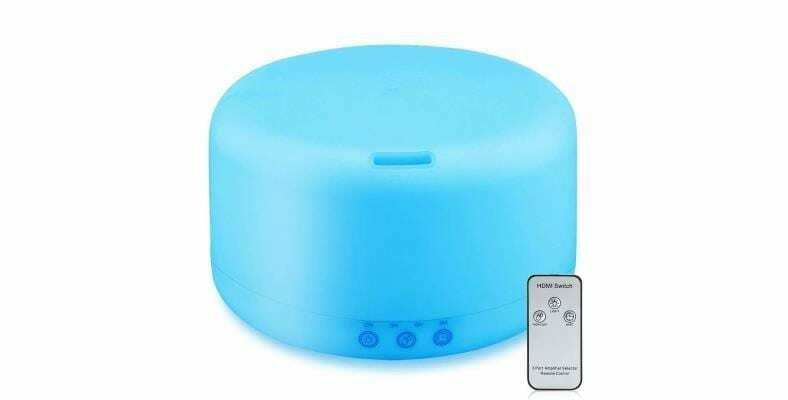 For example, my most recent purchase is the popular URPower color-changing diffuser for small rooms. At 100mL capacity, it’s fine for my bedroom but not for large rooms like a living room. In that case you’d want one with a water holder or tank several times that size. 500mL or larger is a good choice. Larger capacity isn’t the only thing you should shop for. A good diffuser will also have nice features to make using it easier as well as accenting your home, too. 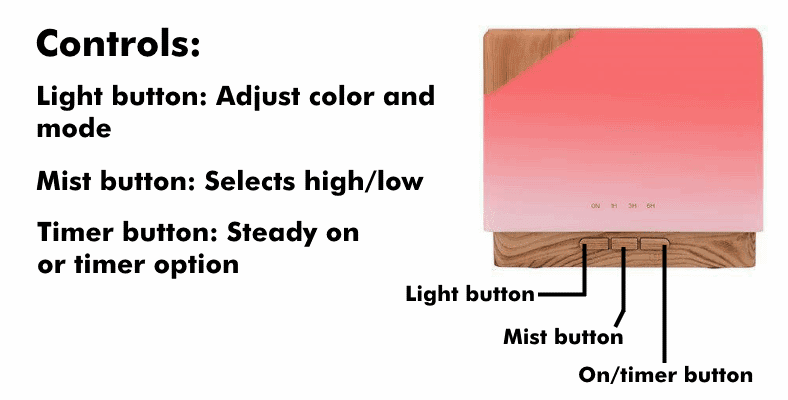 Generally speaking, nearly all oil diffusers are very quiet if they’re well-designed. In fact they’re so quiet they’re nearly impossible to hear in my experience. Additionally, you’ll want to shop for one with many happy buyer reviews as people don’t like hassle or problems. A well-selling, highly rated diffuser is pretty much a sure bet. Provides up to a whopping 50 hrs on one tank! 1. URPOWER 700mL Ultrasonic Color Changing – An affordable best-seller that’s feature packed. Thinking you’ll have to spend a lot to get a great diffuser? Think again! The URPOWER square 700mL diffuser is not only a great value and good choice for large rooms, but it’s one of the best-selling models you’ll find for under $40. It’s not only a great value easy to use, too. Definitely a good design in my opinion. Just remove the cover, fill with water (water cup included), add a few drops of oil, and turn it on. Now sit back and enjoy lovely fragrant scents! I could talk about the features for a long time, but despite the nice things it offers it’s still really easy to use. Maintenance is a snap, and I’m sure you’ll agree too when you get one of your own. ..and you’re done. Optionally you can set the accent lighting to one several modes and brightness levels while it’s working. Pick from 7 lovely colors with either a stead-on or color changing mode. Need a comforting night light? Just adjust the brightness as that’s a built-in feature, too. It’s a really nice looking design I love and I’m sure you’ll enjoy it as well. Great for both adults and children. The LED light accent feature is pretty cool. In fact, while it’s optional, you’re not stuck with only 1 mode or 1 color. 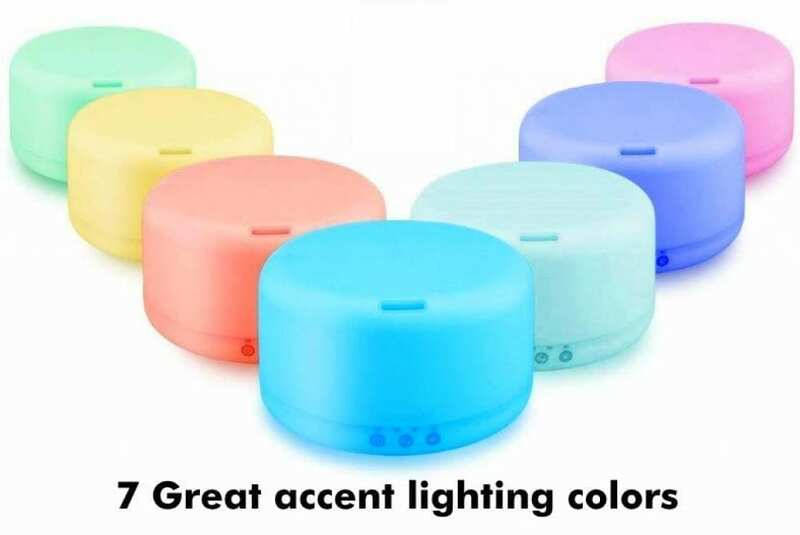 Choose from 7 soft glowing colors and 2 modes: steady-on or color changing. Feel like it’s a bit bright? Just use the light button to adjust the brightness or turn the light back off. It’s easy to do and becomes second nature in only minutes, in my experience. With 700mL water capacity (about 24 oz) it’s a great choice you’ll get just over 20 hours of continuous run time on a single refill! Not only that, but 2 mist output levels are available: Low and high. That’s a great option as sometimes you don’t feel like waiting – you want your favorite scent right away. Select steady-on mode or push again to choose one of the 3 timer settings: 1, 3, or 6 hours of use before it conveniently shuts off automatically. Very nice! I do have a few minor gripes, though: The owner’s manual could be a bit better, and there’s no essential oil included. You’ll need to remember to pick up one yourself to get started. Overall, it’s a fantastic buy and I really recommend it. Makes a great gift, too! Honestly? It’s tough to beat! 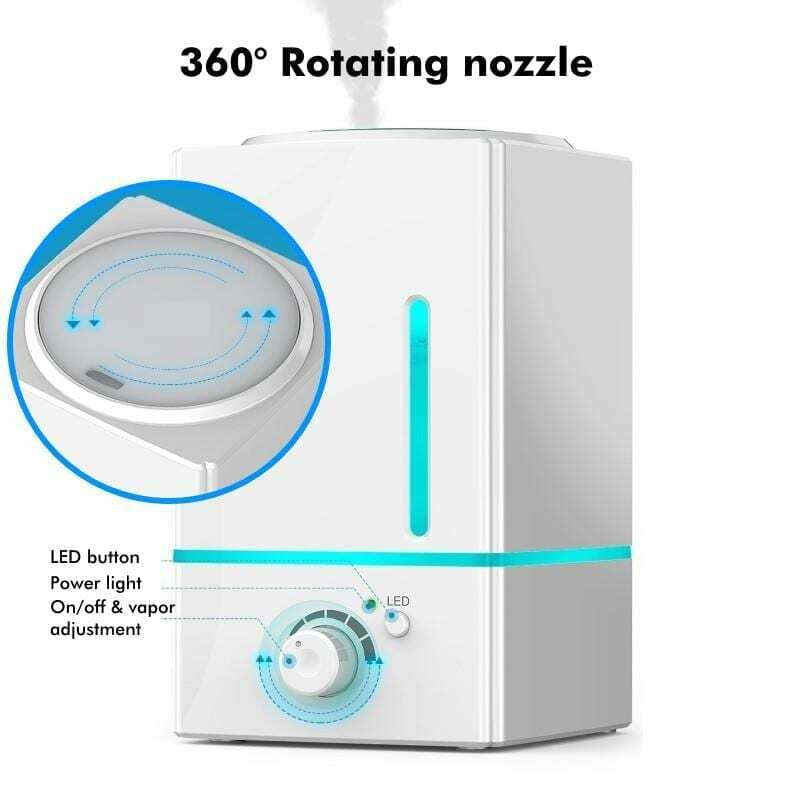 Unless you need a model with even more water capacity or higher output for use as a humidifier, it’s a fantastic choice. No wonder it’s a best seller! Find out for yourself why it's one of the highest-rated diffusers you'll find at Amazon. 2. Pure Enrichment PureSpa XL – One of today’s best large room diffusers you’ll find. Style, features, and 2000mL capacity. 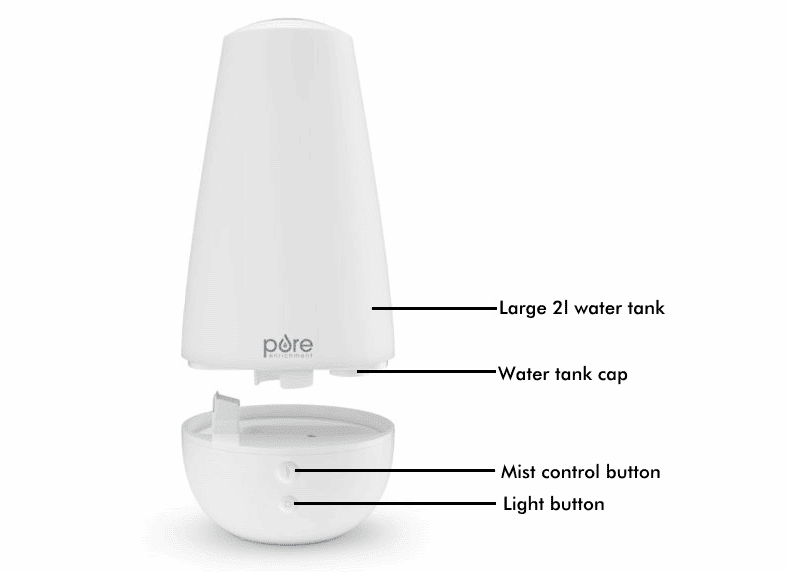 Pure Enrichment is one of today’s top air quality product manufacturers, including great humidifiers that people love. It’s no surprise that the PureSpa XL is one of today’s best large room diffusers for the money. With 2000mL (about 1/2 gal.) water capacity, it’s one of the longest-running models you’ll find. Even better, it’s still affordable at under $60 if you shop smart. Without a doubt it’s one of the best I’ve had the pleasure of trying. The PureSpa XL is really simple and easy to understand! The controls are straightforward and I really like it. A simple 2-level mist button turns on and controls the output level while a nice LED lighting button lets you change the color and lighting mode. Controls are simple, well-designed, and really easy to use. 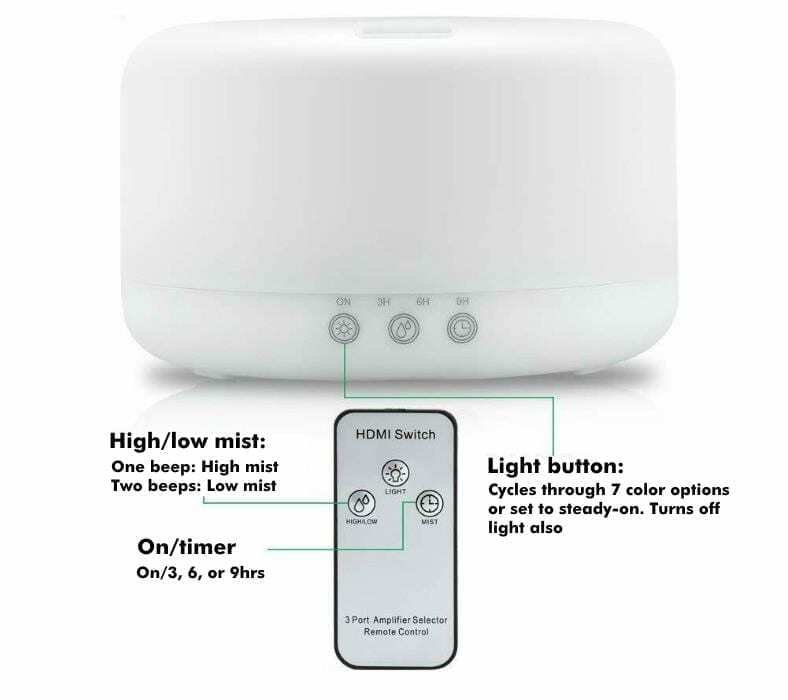 Just push the mist control button to get started and choose one of 2 output mist levels (high or low). 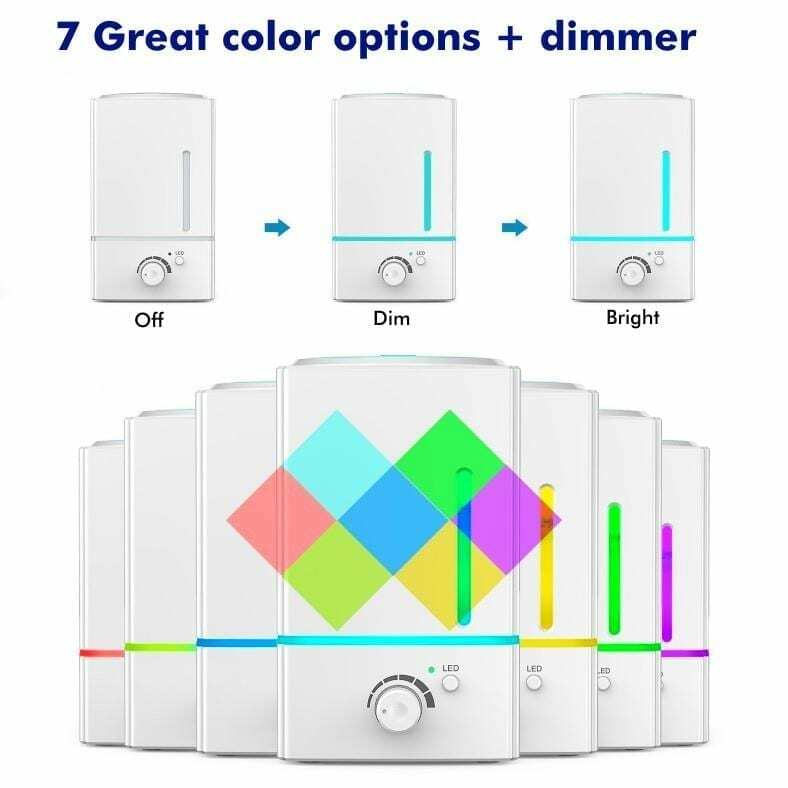 Push the light button to switch on a soft glow in one of 7 colors. You’ll get some lovely lighting that’s a great addition to any room – and it makes a great night light, too! What I really like about the PureSpa XL is that the light feature works separately from the diffuser function. Switch on the LED feature and the PureSpa XL begins gracefully and slowly moving through 7 lovely colors. You can choose to stay with 1 of the available 7 colors, too. Maintenance is easy and it’s a breeze in my opinion. Just remove the water tank & turn it upside down. Fill with clean water from your faucet and then add your desired essential oils. Place it back on the base and you’re done! 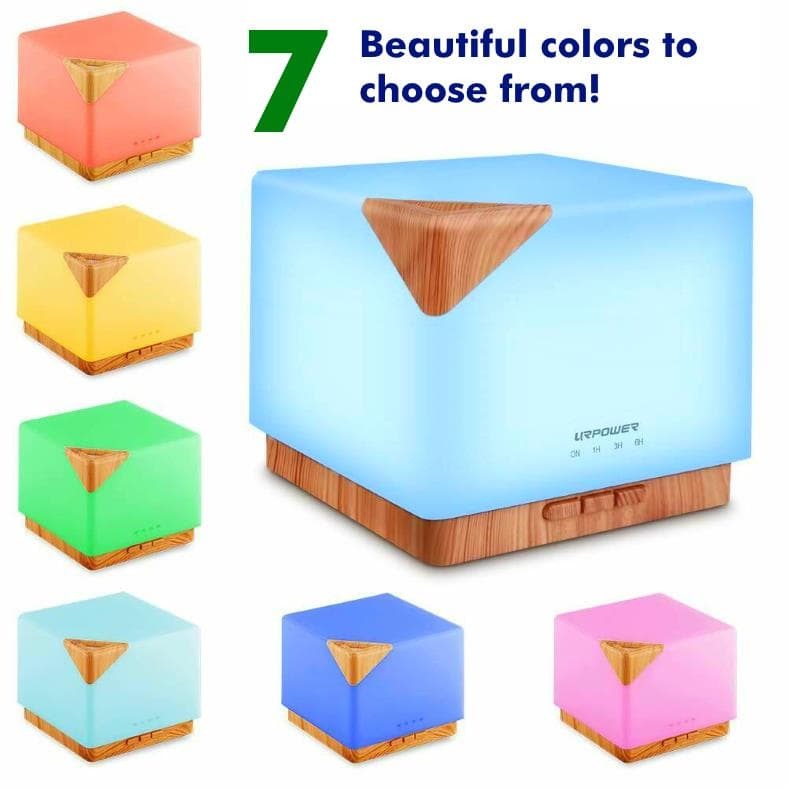 You’ll be enjoying great humidifier and/or essential oil therapy in seconds. What’s truly amazing is how you’ll enjoy an unheard of 50 hours of run time on the low mist setting and a huge 22 hours on high. The competition simply can’t match that, even for more expensive models. And unlike humidifiers from the competition with an essential oil feature, there’s no tiny, annoying tray which doesn’t work as well as adding the oil directly into the tank. It’s a real diffuser, not a gimmick! I do wish there was an adjustable mist dial and timer functions, but it’s a great diffuser that works really well and looks great anywhere. Honestly, you’ll be hard pressed to find a better diffuser if you want a super-long run time and ease of use. Reviews are fantastic, just like my opinion of it. Honestly, I’m impressed. For an aromatherapy diffuser that’s so affordable ($60 or less, if you’re lucky) it’s excellent. It works great, looks great, and well…it made my room smell great! Have a look for yourself. Find out why it's one of the best-selling large room diffusers of all time at Amazon. 3. Exqline 1500mL Large Room Diffuser – Excellent for large rooms. Adjustable mist and fantastic run time. When it comes to large room essential oil aromatherapy, the Exqline diffuser and humidifier is one of the best available today. With a huge 1500mL (nearly 1/2 gallon) of water capacity you’ll get up to a whopping 22 hours working time. That means hours of hands-off, hassle free aroma. Not only that, despite its big large room performance and features it’s still wonderfully easy to use. Whisper-quiet operation – so quiet it’s nearly silent! 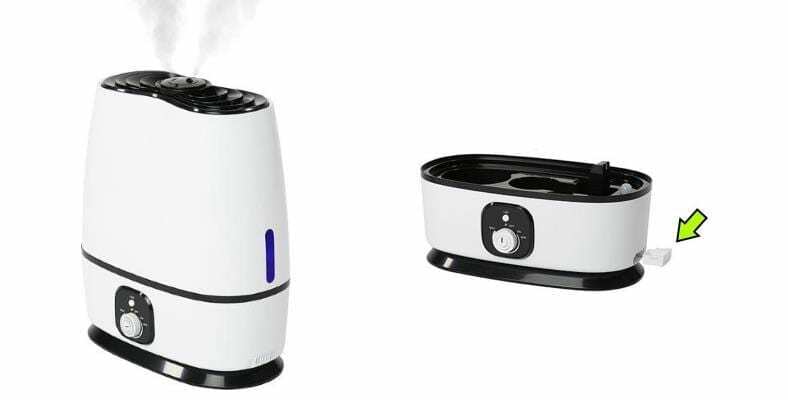 In fact despite being both a humidifier and diffuser, it’s a cut above other models. Instead of a tiny oil tray on the side like others offer, you can add water and your favorite essential oils right at the top. It’s a snap to refill and get going again – it’s one of the easiest I’ve seen yet. Maintenance is a snap! Just remove the top cover, fill it with water, and add a few drops of wonderful aromatic oil. Switch it on and enjoy aromatic air! Not only is it powerful and really long-lasting, but you won’t have to worry about annoying maintenance like with some competitor’s models. That’s it! You’ll be enjoying that wonderful scent you love in seconds. The convenient rotating nozzle lets you point the mist output in any direction you like. It’s a great feature I find smart and well-designed. Want to check the remaining water level? No problem! You can easily see the water through a small window right on the front. No need to worry about what happens when the tank is empty as the diffuser shuts off automatically. One thing that really sets it apart in my opinion is the great accent lighting feature. Pushing the LED light button lets you easily switch between one of 7 soft-glowing colors. It’s a great way to add a pleasant touch to your room. Use the built-in dimmer and it makes a great night light, too! 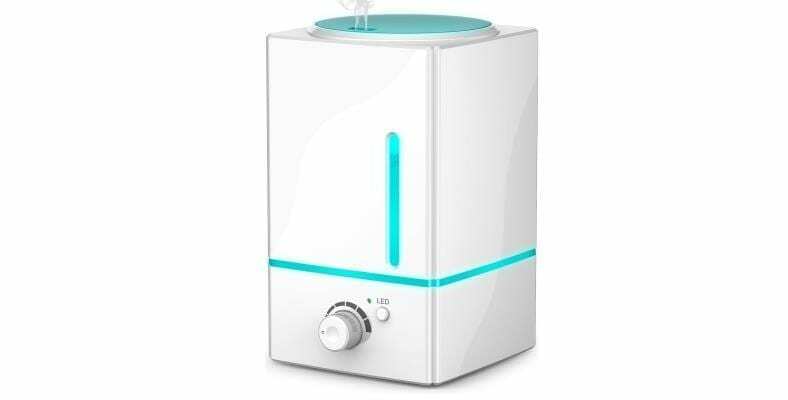 As great as it is, like any other product, Exqline large room humidifier isn’t perfect. I do wish there was an auto-off timer feature with selectable hours. Also, there’s no way to use a remote control with it, but that’s not something I really missed when using it. If you like simplicity, long run time, and practicality that’s affordable, it’s an excellent choice. In fact the adjustable mist level is something I really love about it – few offer that! It works fast, looks great, and is easy to refill and get working quickly. Check it out! Find out now why it's one of the top rated large room diffusers at Amazon. 4. URPOWER 1000mL With Remote – An excellent large room diffuser for everyone! The URPOWER 1000mL has many of the same features their popular other models do. However, not only do you get a long run time on one tank (up to a generous 20 hours) a remote is included too! What’s especially appealing to me about it is the price: it’s very affordable (under $35 if you shop smart). It’s also one of the most popular today. Controls are straightforward easy to use, both on the remote and front panel. Push each button to change the mist level, lighting mode, and steady-on or timer functions. Although I’m unsure why they’re using a rather generic remote that says “HDMI switch” on top. The pushbutton controls are simple and work well. Just either the remote or front panel, just push the mist button to select one of the 2 provide output levels (high, low). Turn on the LED color changing or solid-on modes with the LED button. What’s pretty cool about the URPOWER diffuser is the timer feature – I really like it! Using this button you’re able to choose from 3 auto-off timers: 3, 6, or 9 hours. Really handy for overnight use or when you want hands-off, worry free operation! The URPOWER diffuser provides several neat accent lighting options: Off, color-changing, or steady-on with your choice of 1 of 7 lovely colors. Additionally, unlike some competitors you can use it as a night light as the lighting works the diffuser is off. Nice! Want a nice mood light, accent lighting, or even a night light? You’re covered there, too. What I like especially is that unlike others I’ve tested, you’re not stuck using the lighting only when the diffuser is running. Since the LED lighting works separately when you’re not running the diffuser it makes a great night light, too. While I do have a few complaints (the odd printing on top of the remote, basic instructions are decent but not great, and the buttons could be labeled a bit better) it’s a great one and I’m sure you’ll say the same, too. It’s a cool-looking, easy to use, and well-designed little unit that’s made even more convenient thanks to the remote. It’s just a tiny bit more generic looking than some more expensive units, but I like it. For ease of use and great room-filling aromatherapy, it’s a great choice. Head over now and find out why it's one of the most popular diffusers at Amazon. 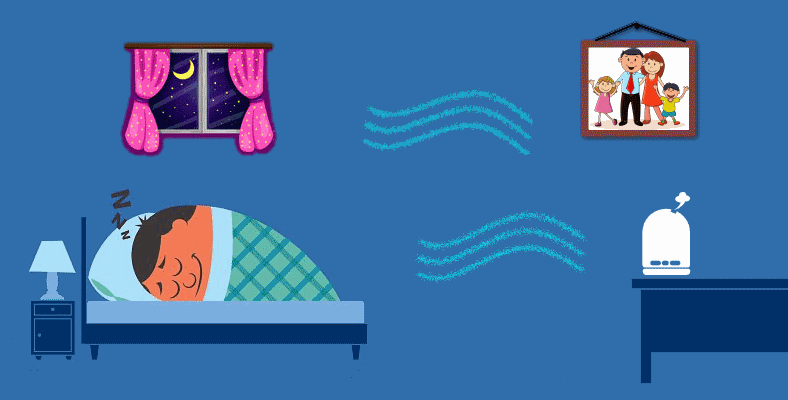 Want to learn more about humidity and the types of humidifiers? 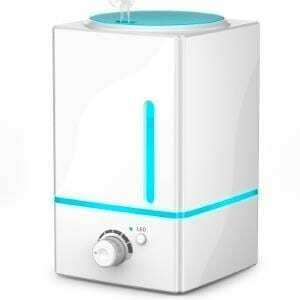 Check out my helpful post with humidifier basics here. The Best Humidifiers For Pregnancy - 5 Great Choices You'll Love!